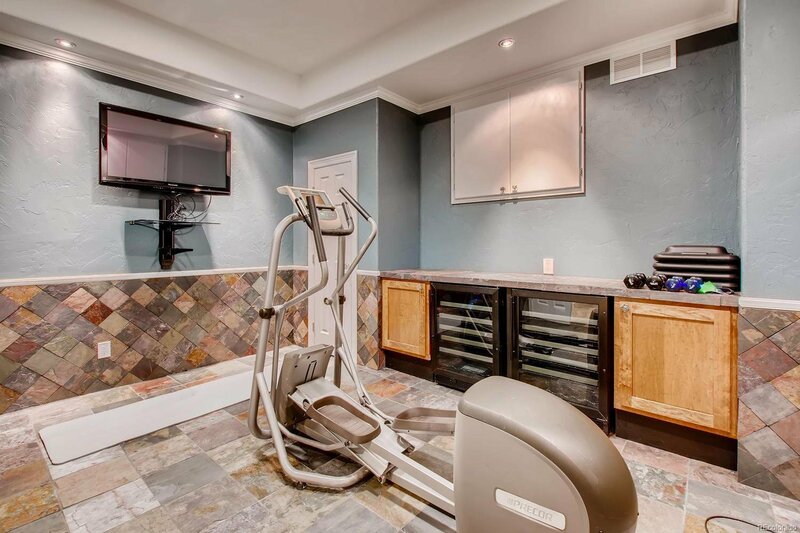 Location.Location.Location. 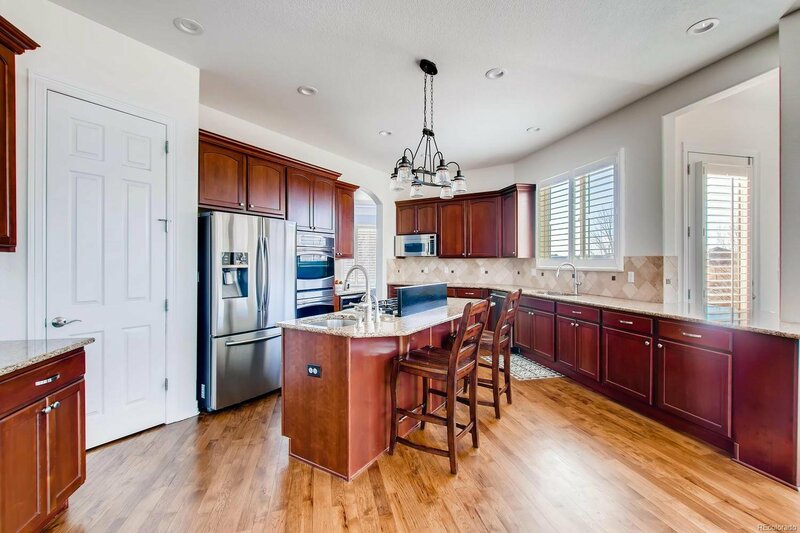 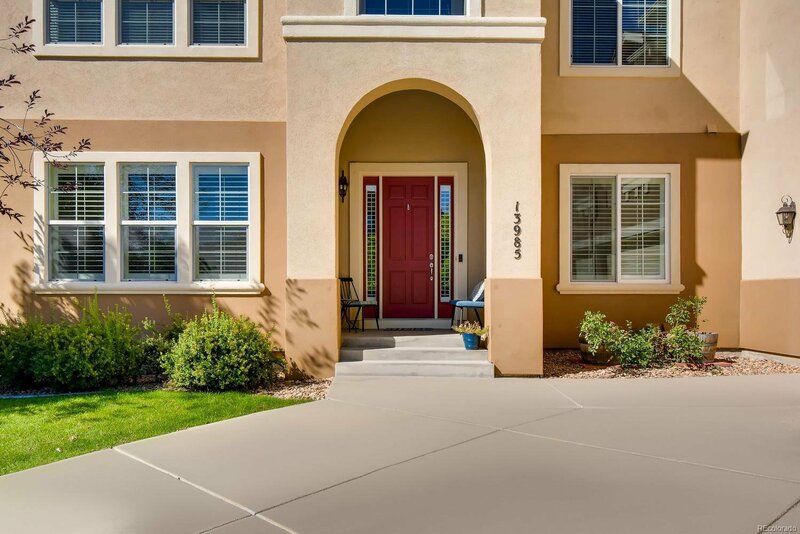 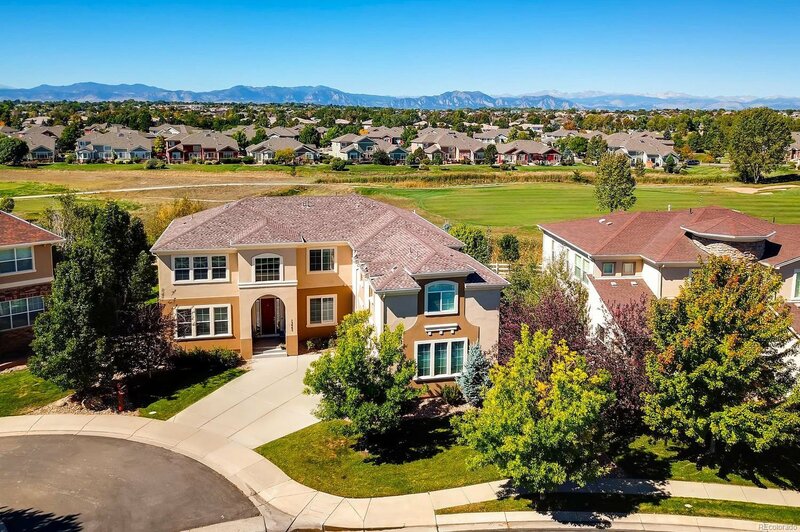 Gorgeous cul-de-sac home in the exclusive Enclave subdivision on what is undeniably one of the best lots in all of the Broadlands. 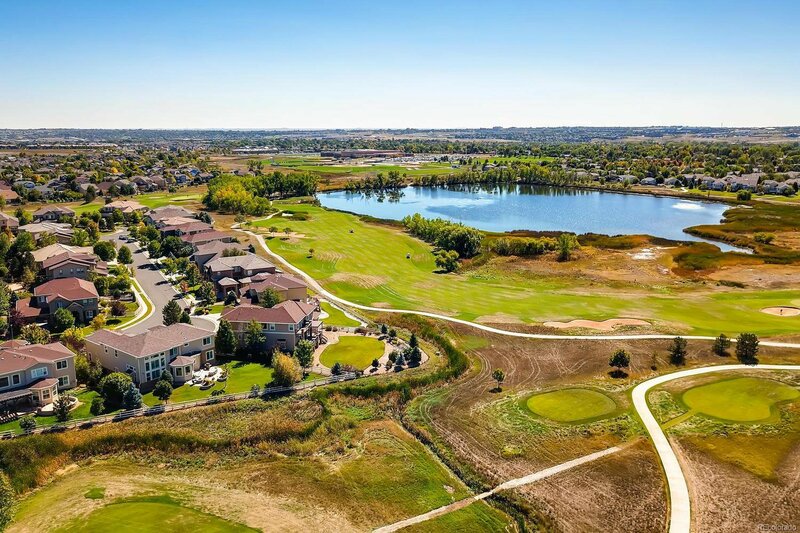 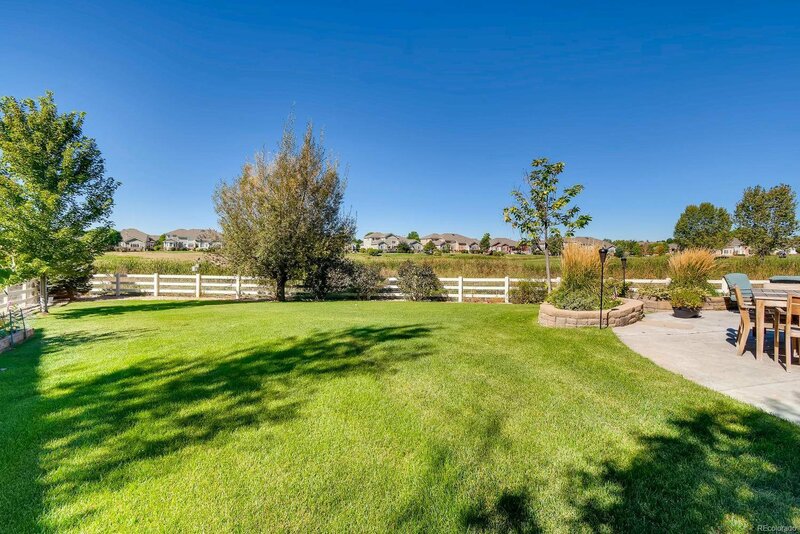 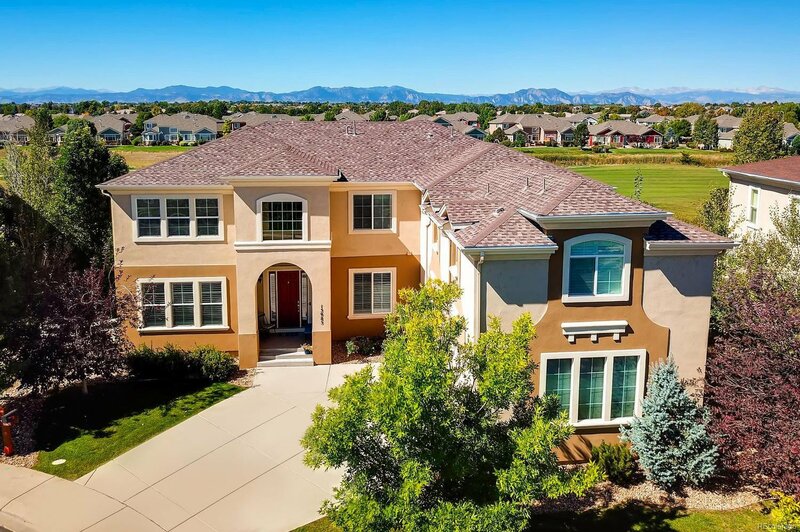 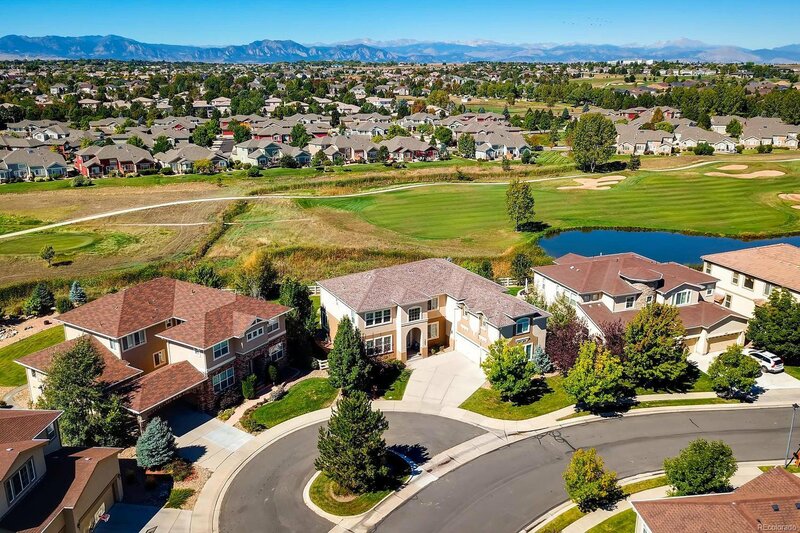 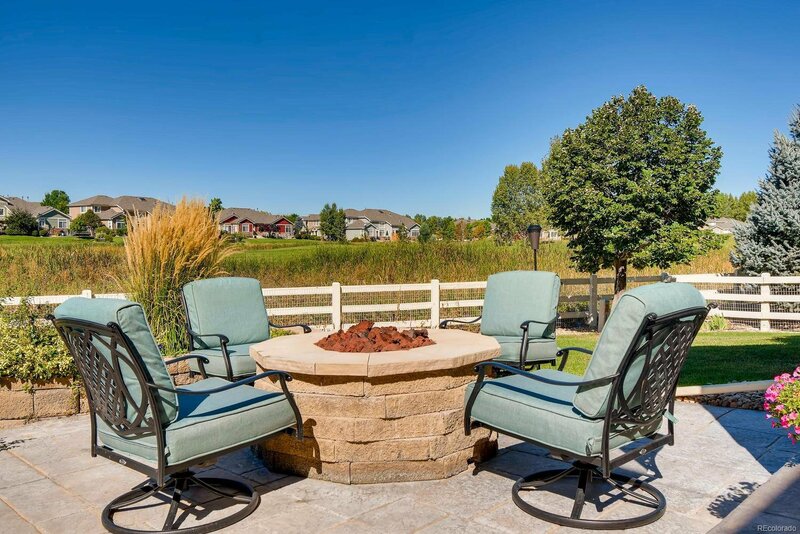 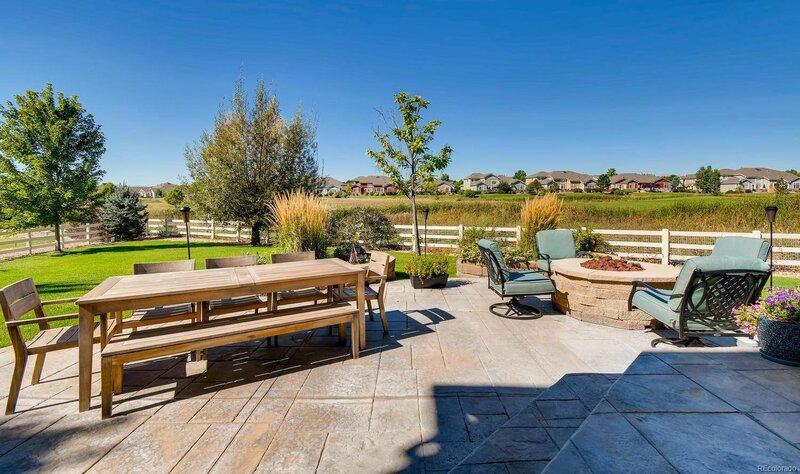 Enjoy stunning sunsets over the Rocky Mountains from this western facing backyard bordering the 16th fairway of the Broadlands Golf Course. 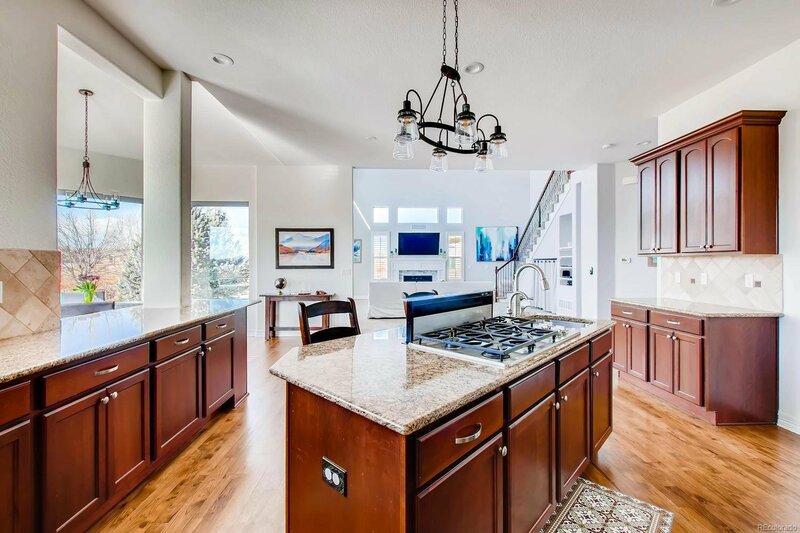 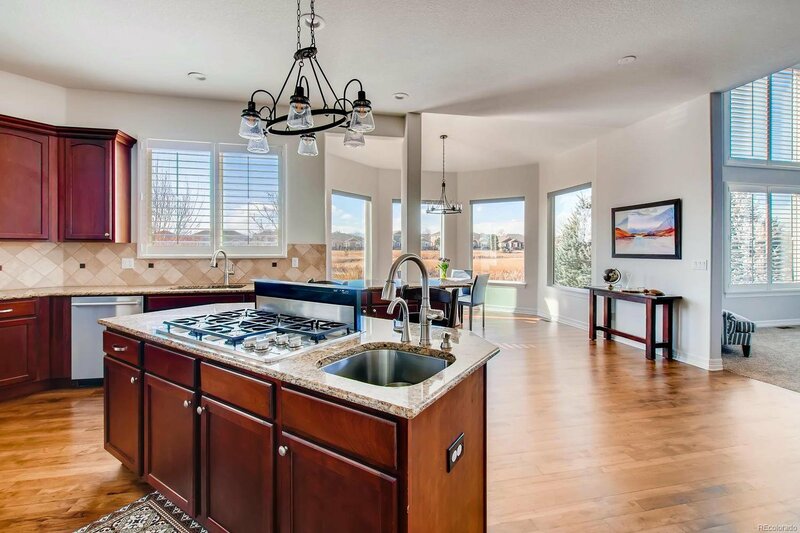 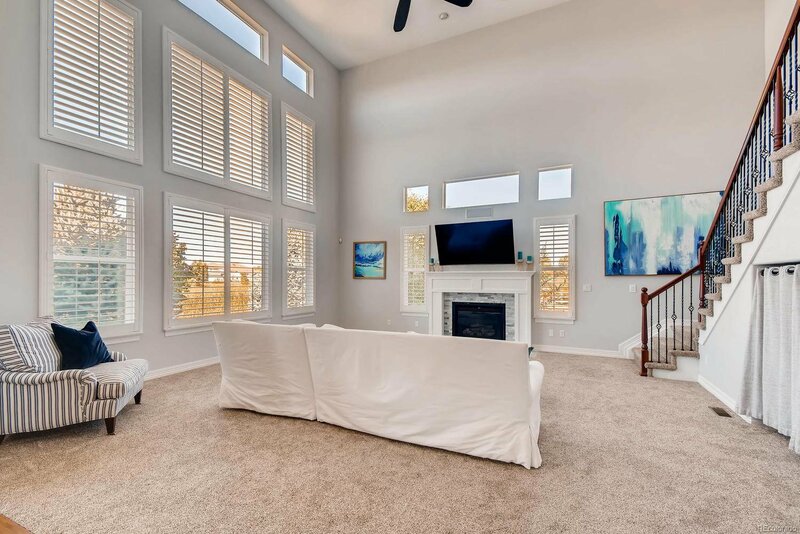 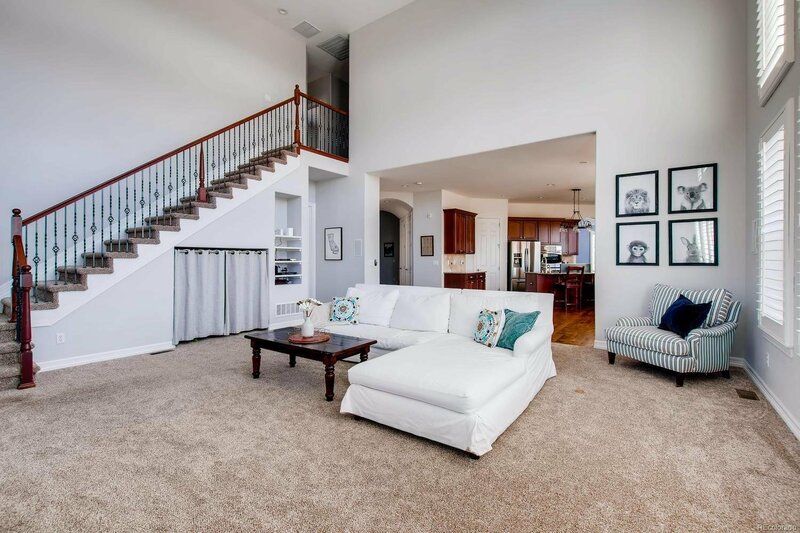 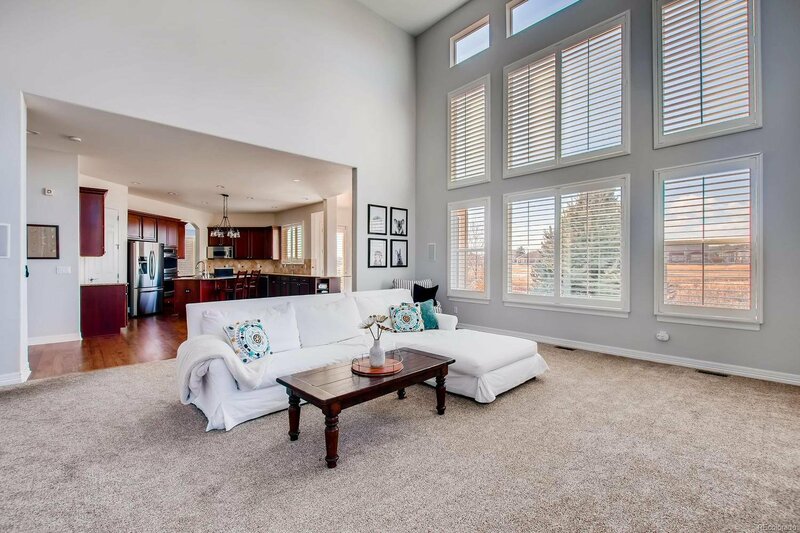 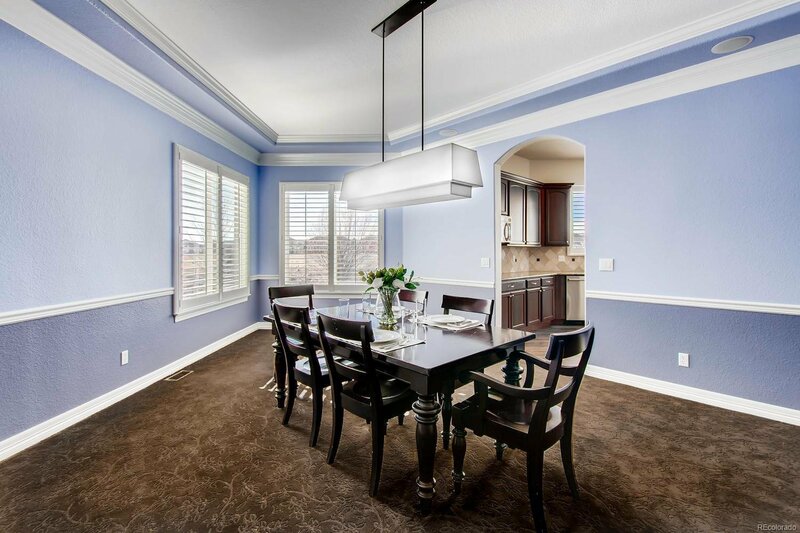 The light-filled open floor plan features dramatic 30 ft ceilings. 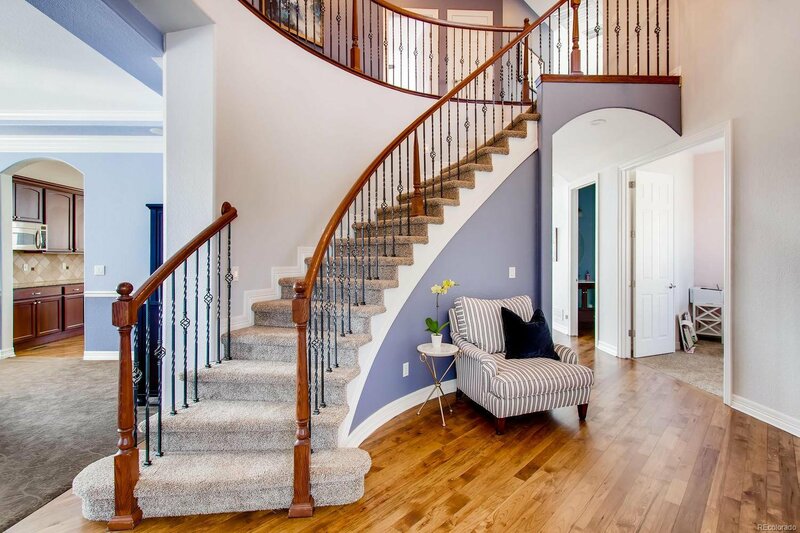 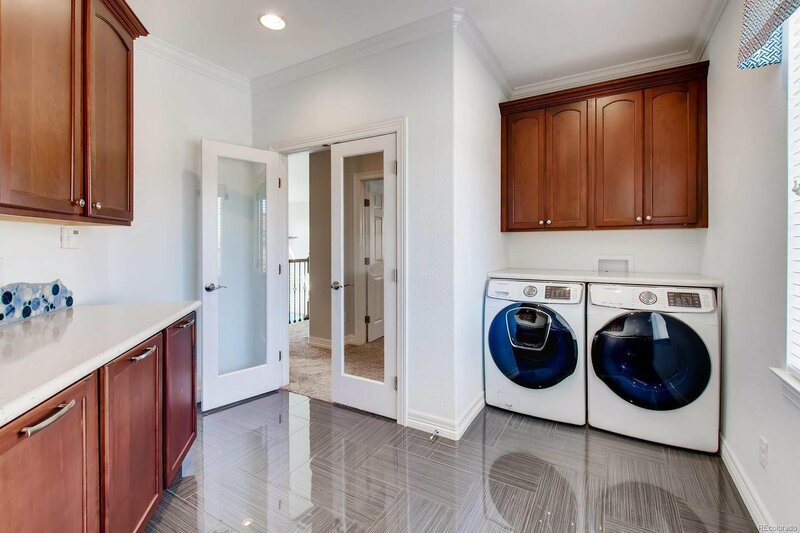 Dual staircases lead up to a laundry room and 4 bedrooms including a spacious master with 2 walk-in closets and a large bathroom. 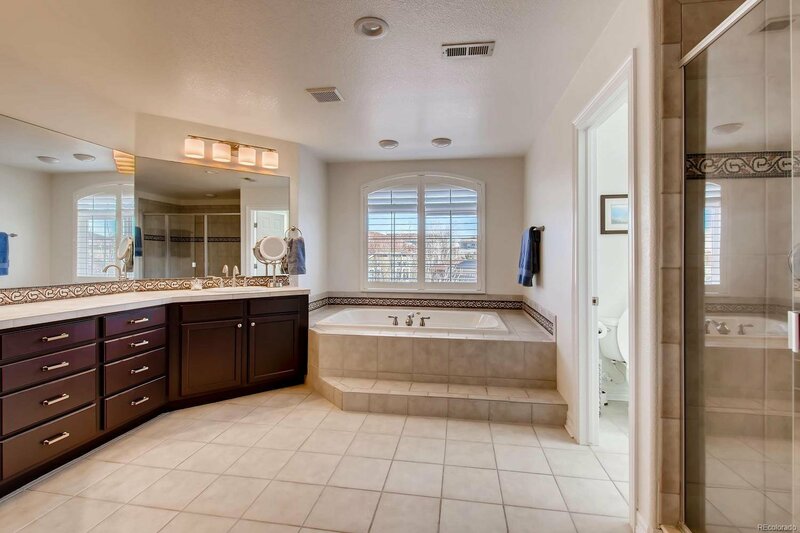 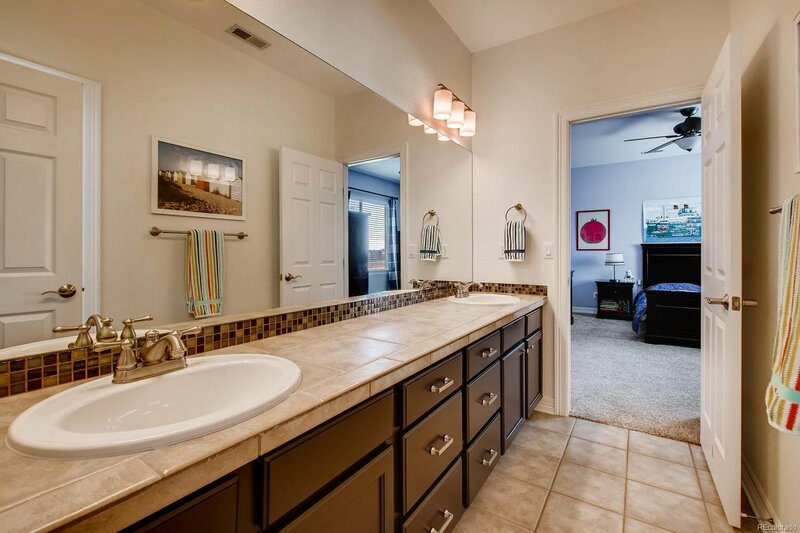 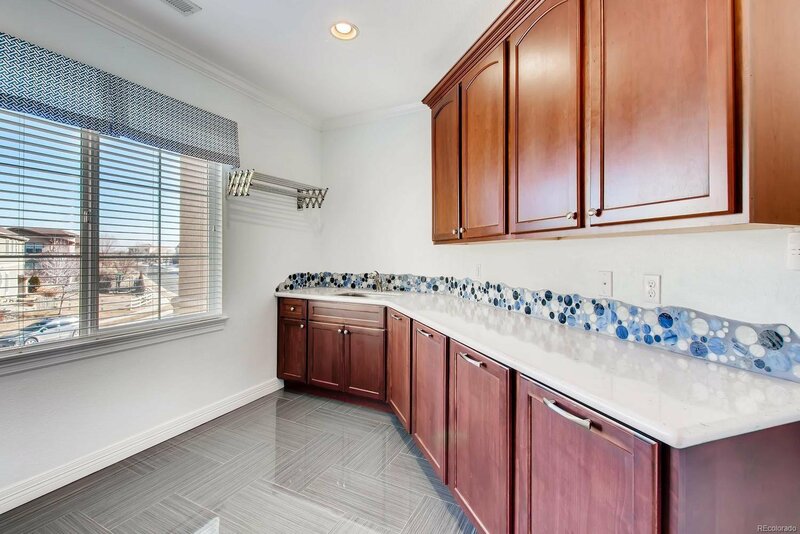 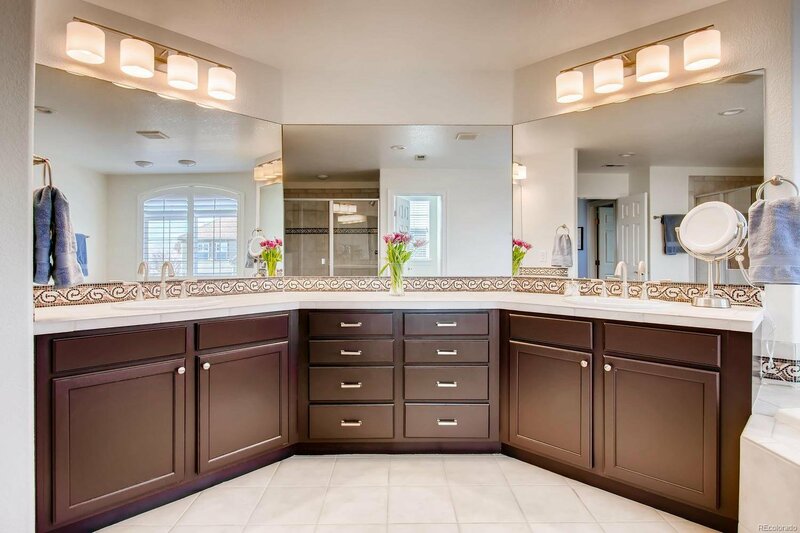 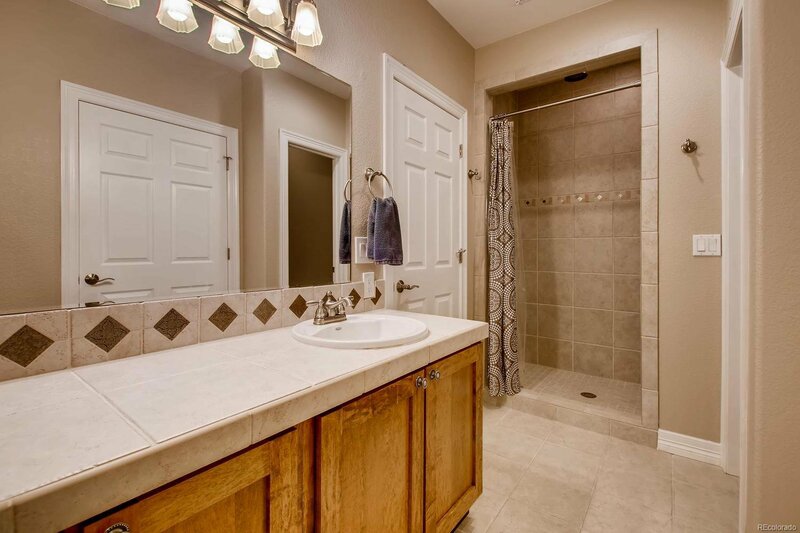 A jack and jill bath connects 2 bedrooms while a 4th bedroom features a private bath. 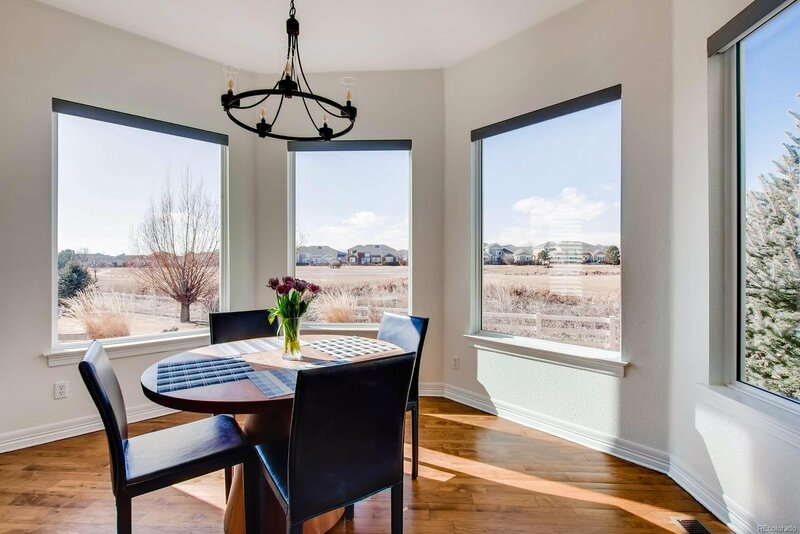 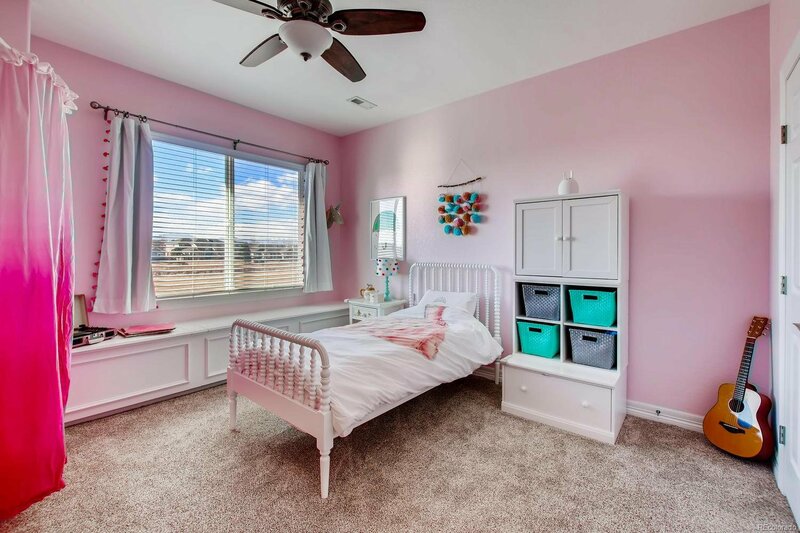 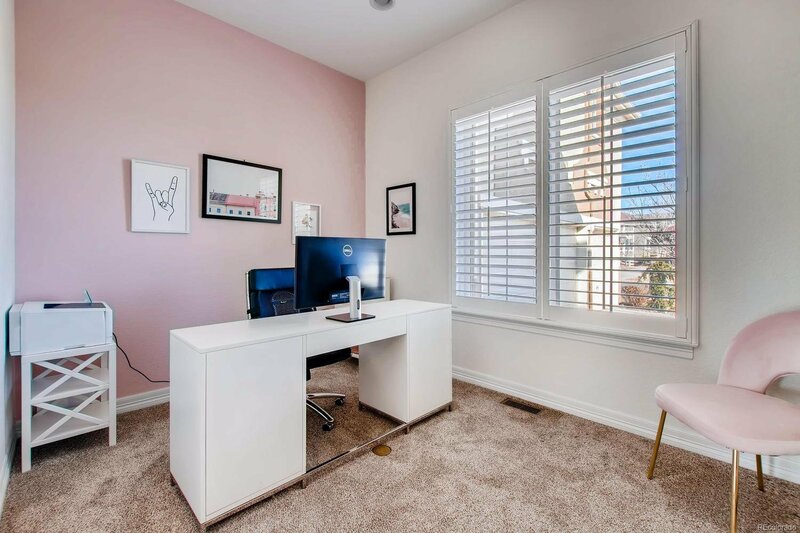 The main floor boasts a study, mud room, powder room, sitting room, enormous great room, formal dining, and a large kitchen featuring walk-in pantry and new appliances. 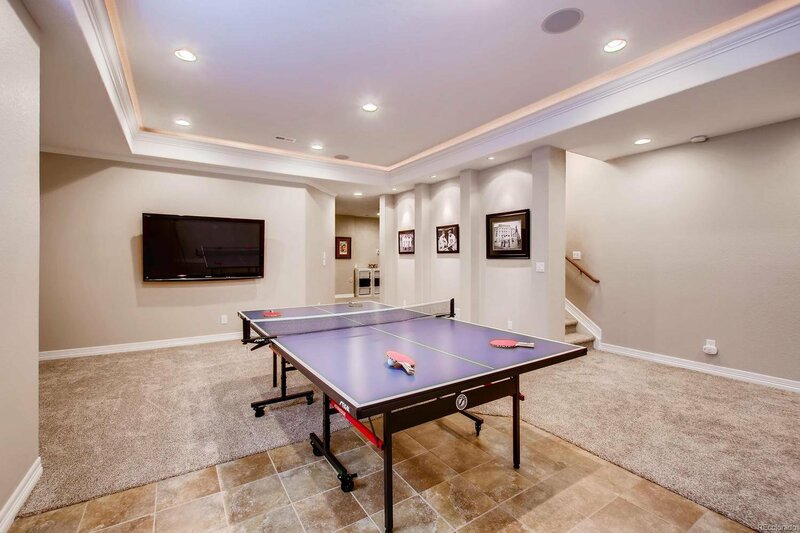 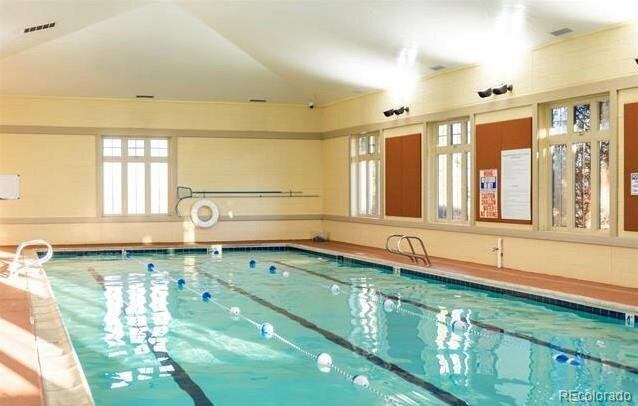 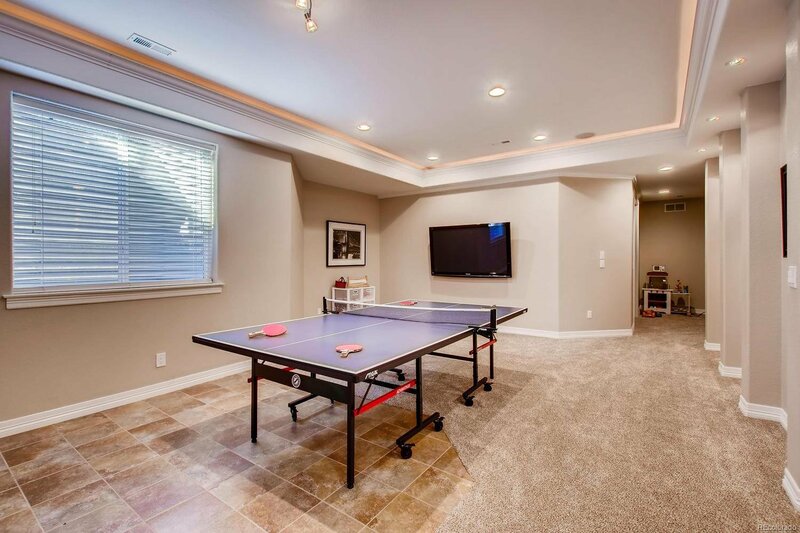 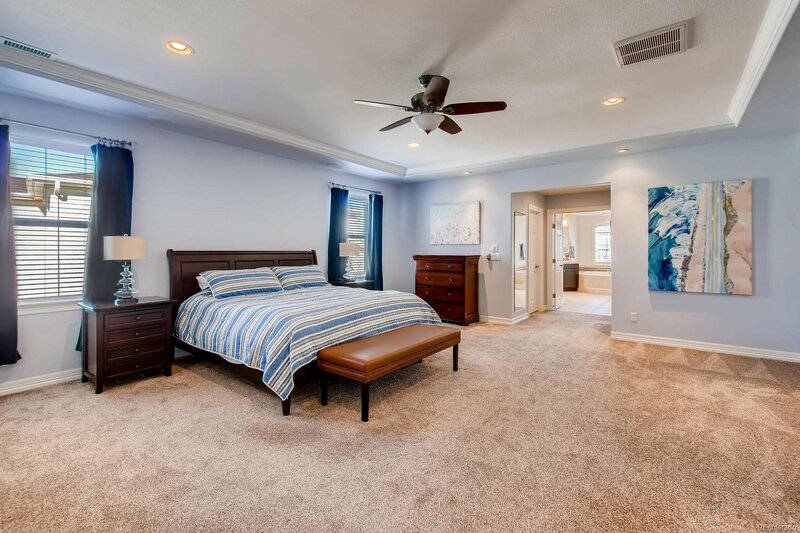 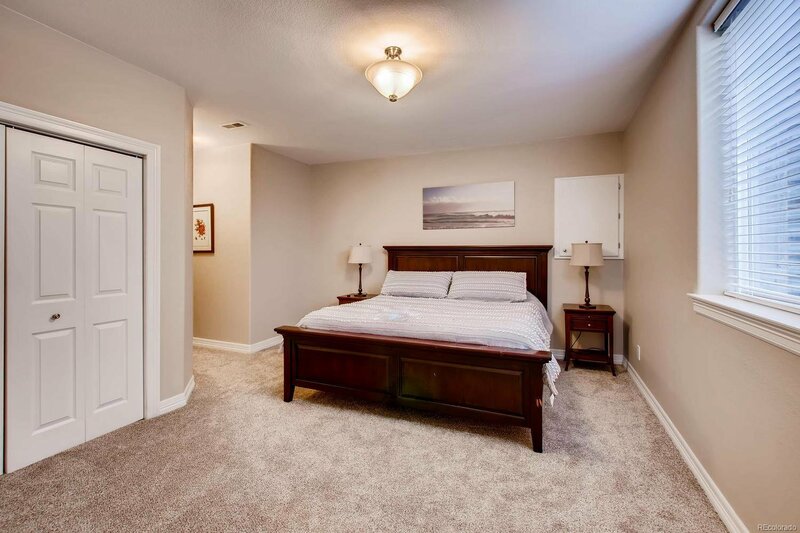 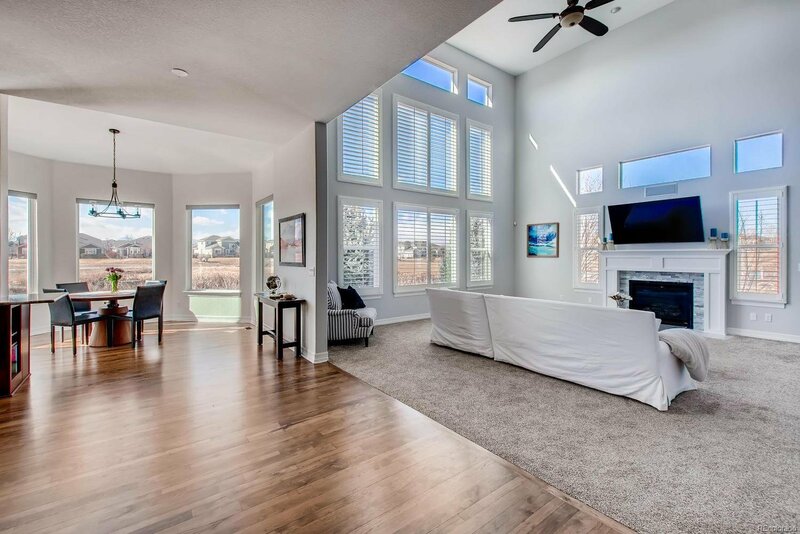 A fully finished basement features a private guest room for visitors and full bathroom, game room,play room, and wine room with plenty of space for fitness equipment. 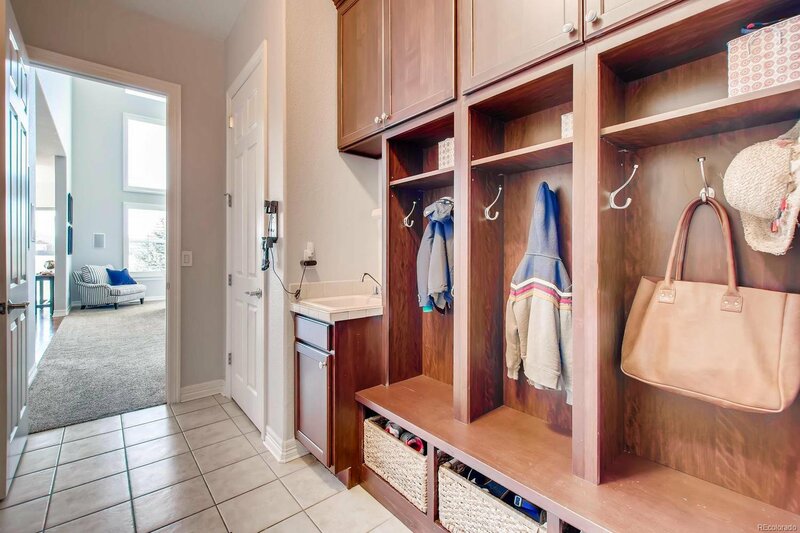 4-car garage has space for a boat. 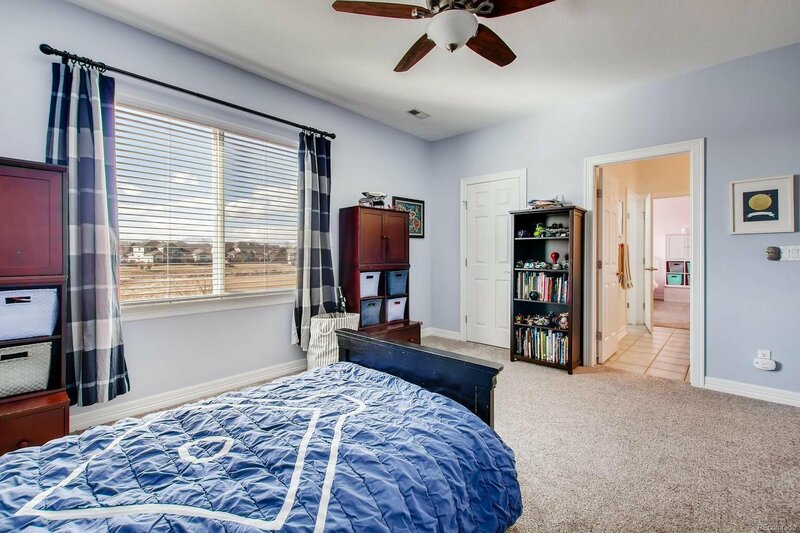 Located in award-winning Adams 12 Schools.